Touting a several-page, single-spaced, 10-point font CV, Roger Abshire is inarguably one of the most respected and requested dog trainers in the world. 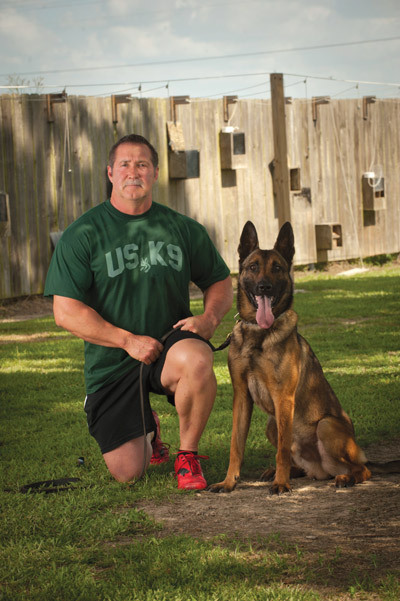 Owner and operator of USK9 Academy in Kaplan, Abshire’s alumni have worked on elite narcotics units, explosive detection teams and various facets of police patrol. They have sniffed out potentially deadly gas leaks at oilfields or other industrial sites, found termites gnawing at home foundations, and a few have been used to seek cancer cells in medical patients. His techniques are so distinctive and successful that the U.S. government has deemed them “official trade secrets” as experts rate Abshire’s four-legged clients at 99.6 percent efficiency in protection level. It started with Joe, a German Shepherd Abshire befriended around 10 years old. On the playground or in the classroom, Abshire recalls being shyer than most kids. Never really spoke up much. Rarely raised his hand. An introvert, for sure. But when around Joe, there was an immediate rapport. Faster than you might expect, Abshire and Joe mastered basic obeisance, graduating to tricks both basic and bizarre. Joe could sit, play dead, speak on command, and he also learned how to retrieve beverages and food from the fridge and how to turn the lights on and off. “It was almost like a cartoon,” Abshire remembers. “I had a little on-and-off motorcycle, and he’d get on the seat and put his front legs on the tank and ride with me around the fields. We’d then play hide-and-seek and I’d whistle to start the game and he’d basically have to use his nose to find me. 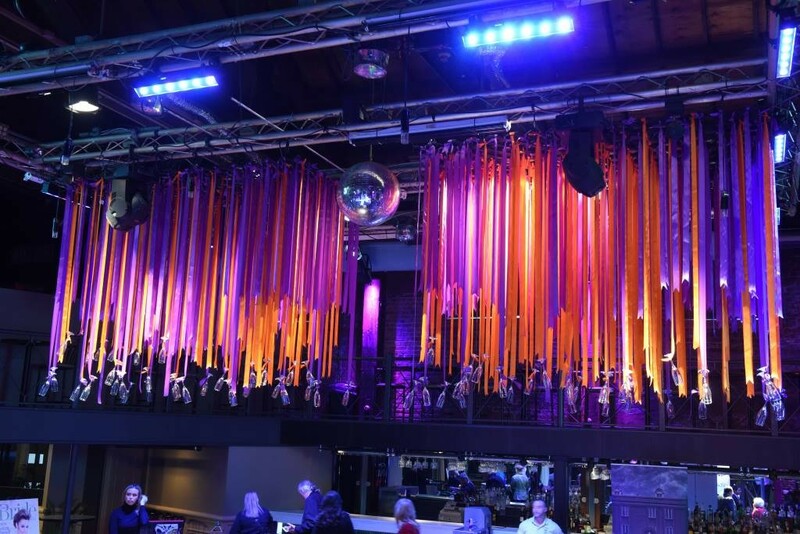 From there to today, Abshire has trained dogs for agencies and events big and small. The Breaux Bridge and Brusly police departments staff Abshire’s canines, but so do authorities in Egypt and the Kuwait Ministry of Defense. The St. Charles Parish Sheriff’s Office presented Abshire with an Award of Distinction, as did the U.S. Army. Abshire’s dogs were on security detail at Super Bowl XLV in Dallas, provide personal protection for former LSU star and NFL running back Domanick Williams, but also assist in everyday tasks for those with special needs. To find canines who suit the skillset required for such ambitious ventures, Abshire makes a handful of trips to Europe a year where owners from various countries – Germany, Netherlands, Czech Republic – bring dogs for the world-renowned trainer to examine. “I might look at a couple of hundred dogs to find one,” he says. “It’s almost looking for a needle in a haystack. You have to learn to read the core of the dog. For example, does the dog have a good set of nerves? Will anything rock him? How is his tolerance to big noises? How does he function on a slick floor, a dark room? And the biggest thing is what’s his intensity toward retrieving anything? Once dogs are selected, they’re flown to Louisiana and kept at Abshire’s academy. Formal training commences usually a week later, permitting the newbies to be examined physically for any medical issues, and providing a grace period so the dog adjusts and finds comfort in its new temporary home. Training methods are catered to the dog’s eventual function – police K9 unit, personal protection, companionship and aid to the handicapped – and tend to average eight to 10 weeks. After that, Abshire also trains the human handler. Of course, that sounds a bit silly to read, except when crime data attributed to Abshire’s four- and two-legged graduates is also put into print. To date, Abshire-trained canines have assisted in close to 4,000 arrests, recovered $193 million worth of illegally-acquired cash, sniffed out 2 million pounds of marijuana, 18,000 pounds of cocaine, and 4,000 pounds of crack and 3,500 pounds of crystal meth. In a career littered with anecdotes that bring to life these accomplishments, Abshire shares a story that happened three months ago in Mississippi where a dog-handler team spotted and identified drug-laced cash floating in the gas tank of a car pulled over during a traffic stop.